First aid, bandages and wound dressing. 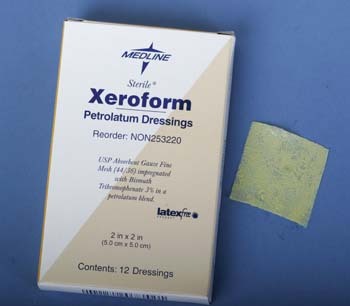 Specialty dressings available include MEDIHONEY, DuoDerm, Xeroform and others. The DUKAL applicator features a soft cotton tip that is absorbent and won’t lint. Made from a high quality hard wood these applicators offer superior performance. The sterile 2’s are available in an easy to peel package. Made of 100% woven cotton the DUKAL Gauze Pad is individually wrapped for your convenience. This highly absorbent and versatile product will meet all market needs and applications. Made of 100% woven cotten DUKAL offers a highly absorbent sponge which is ideal for a number of applications. Available in Sterile and Non Sterile our high quality sponges can be used for general cleaning, dressings, prepping, packing and debriding wounds. DUKAL Premium Paper Tape is a high quality tape with excellent breath ability and comfort. It’s a light-weight, microporous paper tape that holds even when wet and won’t harm delicate wounds. Recommended for delicate and elderly skin. These tapes are hypoallergenic and latex free. 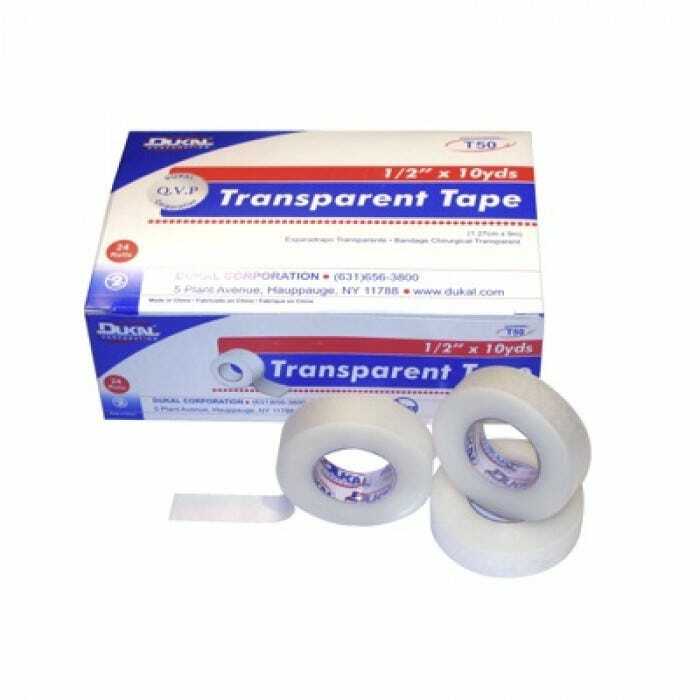 The DUKAL Premium Transparent Tape is a high quality clear tape this is perforated to be easily ripped bi-directionally and porous to be breathable. Excellent for IV sites, dressings, and tubing retention. It conforms and stretches to the body to accommodate movement and makes monitoring of the dressing easier. These tapes are hypoallergenic and latex free.